The single most important thing to understand is that when data logging are the items and configuration file we need for logging our own tuning files. Using anything other than the items we need to have logged, or any other tuners configuration file, or the standard logging configuration that comes in a programmer will be missing critical items, wrong, irrelevant, need to be redone, and a waste of time. Our first priority is the health and longevity of your vehicle. Data logging is not necessary in our basic tunes 98% of the time. For our higher performance or race tunes it is an absolute requirement because we do things safely, accurately, and responsibly. 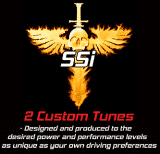 Data Logging is absolutely required for our highest performance SSi3 or SSi4 upgrades, Race Tunes, and can also be purchased clicking here. 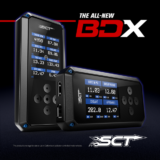 Data Logging requires more of our time, communication, educating, and dialogue, which is a $50.00 cost that can be purchased clicking here or under Data Logging Configuration and Customer Review. We will also take the time to explain how to interpret data logs and what are acceptable values. * Note- Depending on a given situation, circumstances or related to troubleshooting we will determine whether or not that logging is necessary or chargeable. If you are running perfectly fine and are just interested in logging and being educated than by all means I always suggest to do it. Being better educated and knowledgeable is always a good thing when it comes to your vehicle. Now If you do not follow the list and procedure with our guidance that we have posted below you will almost 100% guarantee it will not be accurate nor interpreted correctly when done on your own. The choice is yours. Following the list of items below will insure your success. 1) The first thing you will do is open up a Data Logging Request in the Customer Support Ticket System located by clicking on the Tech Support Menu Tab and the 3rd option under the Tech Support Menu, Open A Support Ticket, or by clicking here. 2) Next you will include in your request the Year/Make/Model/Engine and the exact tune file name that I sent to you which you are running and wanting to log. 3) I will then either forward you a configuration file and/or a list of items you need to manually configure yourself depending upon your vehicle type and strategy. Not all items we need to log correctly are available for some vehicles and certain strategies. If this is the case we will need to make and send you a “logging” tune file so all important items are being set up and logging correctly. This consists of several items one of which is the type of knock systems being used by us and what is used by the manufacturer. It varies from vehicle to vehicle. When logging a tune file file it really needs to be a short run usually at WOT for 2 gears. Usually 2nd thru 3rd is more than sufficient. Begin the record time just before your run and end it shortly or as soon after as you can. Please keep the files as small as possible and you do not need a 10 minute or longer file of random driving. If this is a troubleshooting issue we may ask for a different type of logging run however we usually on need wide open pedal as the standard run. Do Not just randomly email any kind of log file as it will not be accepted. You have to learn how and what we need to data log to be efficient, precise, and organized. In the end you will become well informed and have a full understanding of how your vehicle is running. We want data logging to be a educational, enlightening, productive, and positive experience. These procedures will insure that will happen for both the customer and us.